Home Travel Land of Ahilya – Much more than a Fortress Retreat! Land of Ahilya – Much more than a Fortress Retreat! Today, the famed Ahilya Fort stands majestically by the river keeping a watchful eye on every visitor. 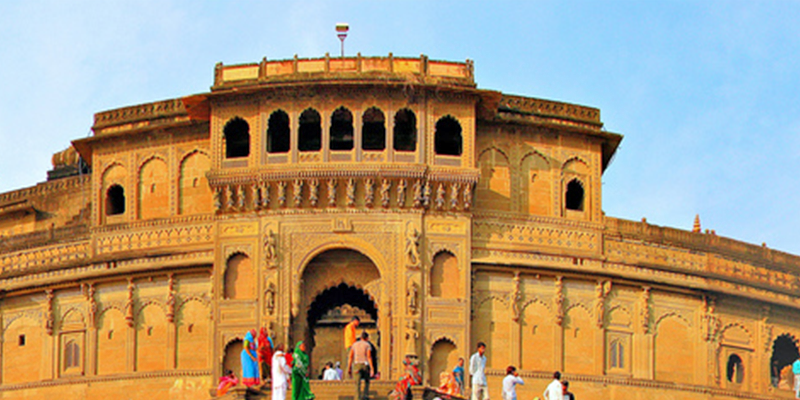 Once the capital of Ahilya Bai Holkar, the living headquarters of this legendary Queen have now been transformed into a luxury hotel and small museum which showcases her life and times. This woman ruler of Maheshwar had a huge contribution in reviving the ghats, temples and the cultural fabric of our country, not only in the area which she ruled but in distant places like Varanasi. Ahilya Fort – Unmatched architectural aura! 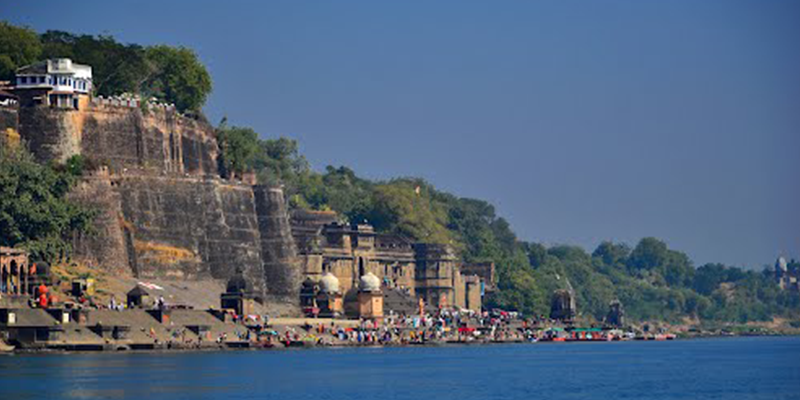 The Ahilya Fort, perched high above the River Narmada, is an enchanting place to stay. Today, part of it has been converted into an atmospheric heritage hotel with 14 decorated rooms by Prince Richard Holkar, her descendant and the son of the last Maharajah of Indore. The building has been perfectly restored with pale old stone floors, ancient shuttered doors, carved arches, hidden terraces, turrets, lush gardens and unusual architectures of rooms. There is the Lingarchan courtyard where Ahilya Bai used to conduct prayer services and had hundreds of Shiva lingams. 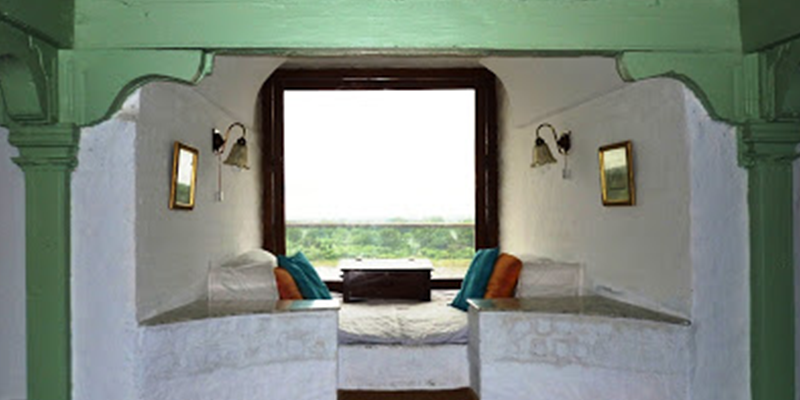 Today it has two quaint rooms called Neem and Imli with window seats that have panoramic views of the Narmada. A few steps ahead, a flight down the stairs from the fort, leads to the ghat. One of the best features of Ahilya fort is, watching the life on the river steps where all of Indian life is conducted. 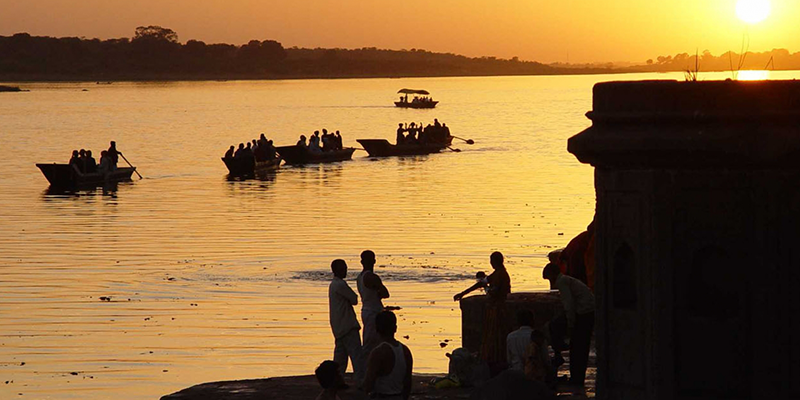 As the sun rises over the Narmada each morning, one will find people there taking holy dips and claiming their moments of worship and reciting chants. 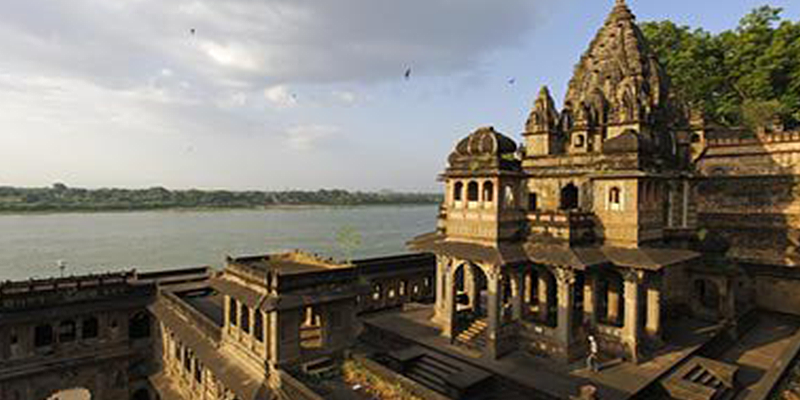 The best part of Maheshwar is it lets you be without the hassles of priests and hawkers hovering around. The temples here are still untouched from commercialisation and it is easy to slip into a corner and connect with the Lord. 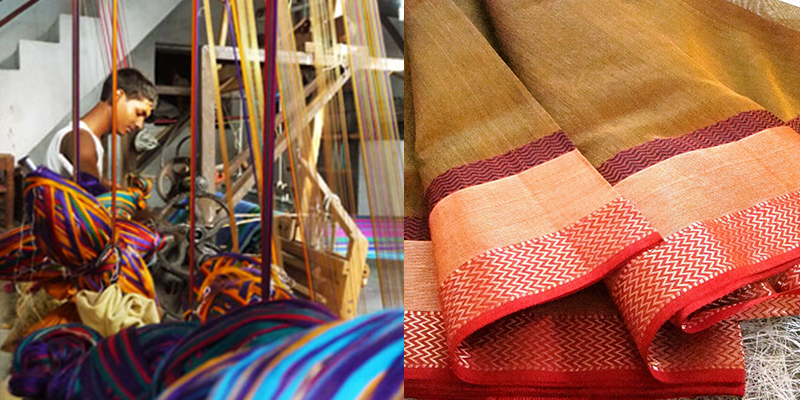 Have you been thinking the home of famous Maheshwari sarees? A devout worshipper of lord Shiva, the righteous queen Ahilyabai not only gave the people many great temples, but also a beautiful textile that is adored by women even today. The doorway to Maheshwar weaving centre produces the famous and elegant Maheshwari sarees that are an exemplar of graceful simplicity, yet refined and sophisticated attire. And then in the evening as the temperature drops, the gaily painted boats are all set to sail and watch the sun set behind the Maheshwar temple. As soon as darkness falls, hundreds of diyas are floated down the river, drifting downstream carrying a wish or the memory of a loved one. It is a breathtakingly beautiful and a memorable place. 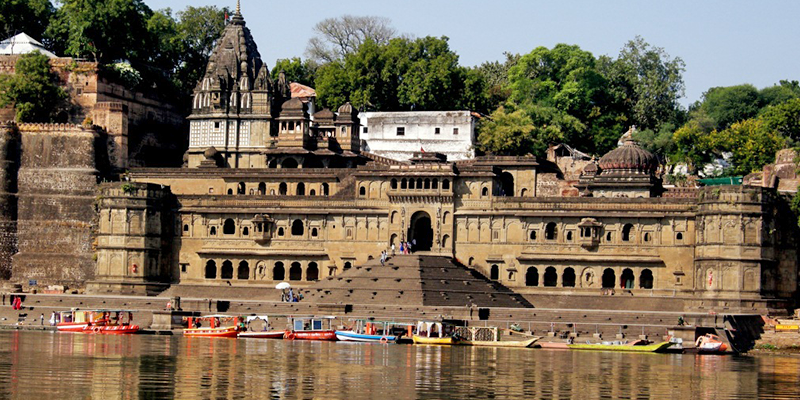 With the fabulous, deserted city of Mandu and the famed island temple of Omkareshwar also nearby, Ahilya and Maheshwar is a place of simplicity, tranquillity and relaxation and a site of delight surely not soon-to-be forgot! Travel Tip – While the nearest railhead to Maheshwar is at Barwaha located about 39 km from Maheshwar, Indore is the nearest major railhead. Trains from Mumbai, Delhi, Bhopal and many other Indian cities halt at the station. From the station, one can easily find taxis for Maheshwar.